What is a Full Gospel Church? We avow that the Bible simply means what it says. t is generally accepted that the term Full Gospel is based on these words of Paul to the Romans: “For I will not dare to speak of any of those things which Christ has not accomplished through me, in word and deed, to make the Gentiles obedient—in mighty signs and wonders, by the power of the Spirit of God, so that from Jerusalem and round about to Illyricum I have fully preached the gospel of Christ” (Romans 15:18-19 NKJV). The title Full Gospel has historically been used to identify those denominations and fellowships, otherwise known primarily as Pentecostals, who hold to the belief that whatever God did through the Church in New Testament times, and principally in the Book of Acts, He still does today. Since its inception, the Church of God has sought to be led by the Holy Spirit. Predating our August 19, 1886, inaugural meeting, the leaders of the infant group had been searching the Scriptures, seeking to know God more intimately. This sincere search led them to the doctrine and experience of sanctification, and ultimately to the outpouring of the Holy Spirit in 1896, when more than 100 people were baptized in the Spirit and spoke in other tongues following the Shearer Schoolhouse revival in North Carolina. This move of God, along with the Cleveland, Tennessee, revival in 1908, reshaped the destiny of the young movement, resulting in its becoming a Pentecostal body. M. Evans and his wife, Ida, who went to the Bahamas as missionaries in 1910, used this term in letters they wrote to the general overseer, with each of these letters being printed in early issues of the Church of God Evangel. Today, there are at least five markers which differentiate Christians or churches identified as Full Gospel from the rest of Christendom. Jocelyn Mackie writes: “Other Christians view the miracles in the Bible as being limited to that time period when God was most forceful in proving His influence. In the Full Gospel Movement, these miracles still occur and include spiritual healing and speaking in tongues, along with other specific events noted by Church leadership” (NewsMax.com, April 2, 2015). Mackie goes on to note that Full Gospel believers and churches often quote Hebrews 13:8, which declares, “Jesus Christ is the same yesterday, today, and forever” (NKJV). Both the Church of God Declaration of Faith and its doctrinal commitments unequivocally identify the Church of God as a part of this movement. Full Gospel people and churches believe the gifts and manifestations of the Holy Spirit as recorded in the New Testament, and principally in the Books of Acts and 1 Corinthians, are still valid for today’s church. Unlike cessationists, who insist that such manifestations as divine healing, tongues, interpretation of tongues, and prophecy ceased upon the completion of the written Bible, Full Gospel believers anticipate that these demonstrations of the Spirit will take place in their midst on an ongoing basis. Cessationists argue that 1 Corinthians 13:10, “When that which is perfect has come, then that which is in part will be done away” (NKJV), means these gifts ended with the completion of the Canon of Scripture. Full Gospel believers insist this passage teaches that these gifs will belong to the body of Christ until the Rapture and glorification of the Church. The doctrine that speaking in tongues is the initial evidence of Spirit baptism is in contrast to more recent Charismatic groups who believe in the present-day operation of spiritual gifts, including tongues, but do not teach that tongues is the initial evidence of Spirit baptism. It was an urgent necessity for the early disciples to know when the Holy Spirit had come. Jesus had commanded them to remain in Jerusalem and not leave until they had received the power He had promised; they could not begin their mission until they knew for certain the Holy Spirit had come. There had to be clear evidence. . . .
On the Day of Pentecost, unusual evidence occurred immediately upon their receiving the baptism in the Spirit: “All of them were filled with the Holy Spirit and began to speak in other tongues as the Spirit enabled them” (Acts 2:4 NIV). Notice how the infilling and the tongues speaking are grammatically connected in this verse. They clearly belong together. A strong affirmation of the Full Gospel Movement has always been its insistence that the baptism in the Holy Spirit provides power for Christian service. Its ministers have historically emphasized that Spirit baptism, while accompanied by the initial evidence of speaking in tongues, is given to provide considerably more than just spiritual language. “You shall receive power when the Holy Spirit has come upon you,” said Jesus; “and you shall be witnesses to Me in Jerusalem, and in all Judea and Samaria, and to the end of the earth” (Acts 1:8 NKJV). Since its inception, the Church of God has sought to be led by the Holy Spirit. As surely as the outpouring of the Spirit on the Day of Pentecostal catapulted the infant New Testament church into the ancient world with the saving message of Jesus Christ, we anticipate that today’s Spirit-filled believers will respond accordingly, engaging in every available means for sharing Christ with others. The Great Commission is stated in various passages in Scripture, but most prominently in Matthew 28:18-20. It is anticipated that Full Gospel believers will be participants in the mission of Christ to reach out to unbelievers, and they will instruct new converts in how to live out the Christian faith, thus developing maturing Christian disciples. Donald Gee wrote: “The present Pentecostal Movement has girdled the earth. It still is growing. Its health has largely been due to its world evangelization. The divine impetus for that has been the baptism in the Holy Spirit accompanied by spiritual gifts” (Azusa Street and Beyond). One of the earliest principles of the Church of God was our belief in the whole Bible, rightly divided, with the New Testament as our only rule for government and discipline. A core value among all Full Gospel believers is an insistence on the centrality of the Word of God. While the Word of God is foremost in Full Gospel values, it is listed last here because it better explains why we believe what we do about the previous four. Full Gospel believers are convinced that the original manuscripts of the Bible were divinely inspired. Consequently, we avow that the Bible simply means what it says. 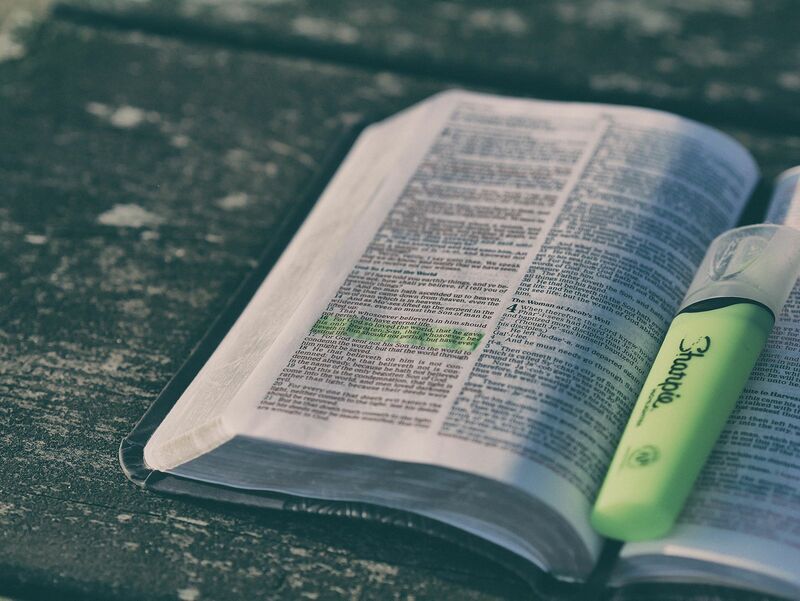 This high regard for Scripture is the basis for the Full Gospel Movement’s insistence that New Testament blessings and benefits continue to be valid for today’s church. We expect that today’s ministries will always conform to the inspired Scripture and will be to this generation a living demonstration of the continuing authority of the Word of God. James E. Cossey, a former editor of the Evangel, is special projects coordinator in the USA Missions Department of the Church of God.